Because of the seclusion, there wasn’t much room for activities. Water activities were limited to kayaking but there was a recreation room with board games, some books, and a billiard and foosball table. 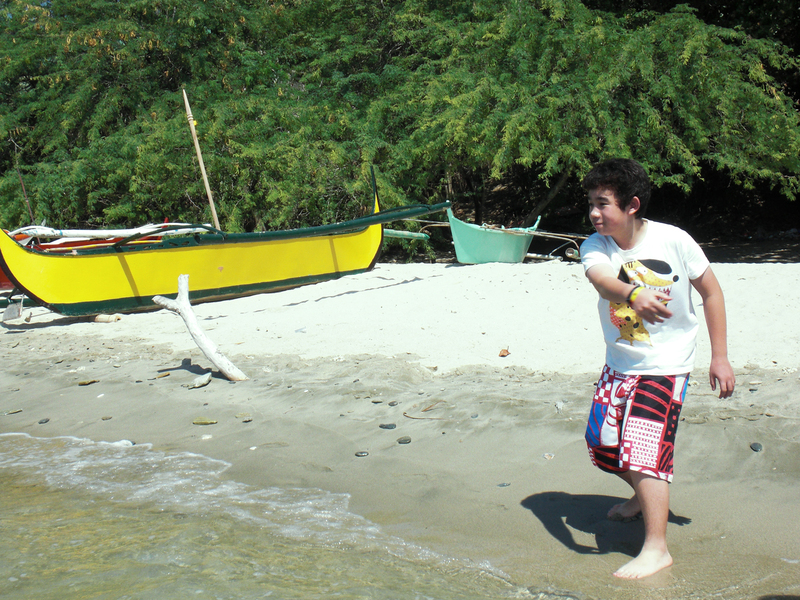 My brother, sister and I spent most of our stay exploring the beach, walking along the shore and admiring the sea. We would look at stones and keep the nice ones and dip in the sea. My brother, that wonderful jack-of-all-trades discovered a new sport – stone skipping. Sophie (sister) was good at it so Yuji (brother) decided to learn the ancient art. He managed to learn but I failed majestically. I spent the time taking pictures while they skipped stones. 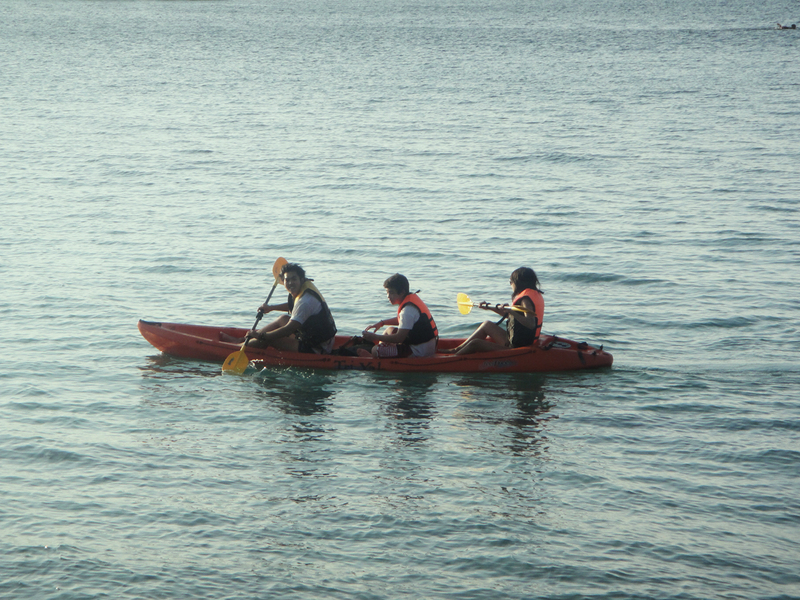 But we all discovered a new sport – kayaking. It was great exercise for the arms and it was a lot of fun rowing to the deep ends of the beach. We even dared to kayak to White Beach and just grab a few drinks but decided not to because we had to pass by a rocky part of the sea and it was windy. On the second day, I decided to row alone. It was a lot easier than rowing in pairs because you’re in full control. But it’s scary because you’re lighter and it’s easier to tip over. I have a morbid fear of the deep parts of the sea so it wasn’t comforting to see vague shapes moving under the water. 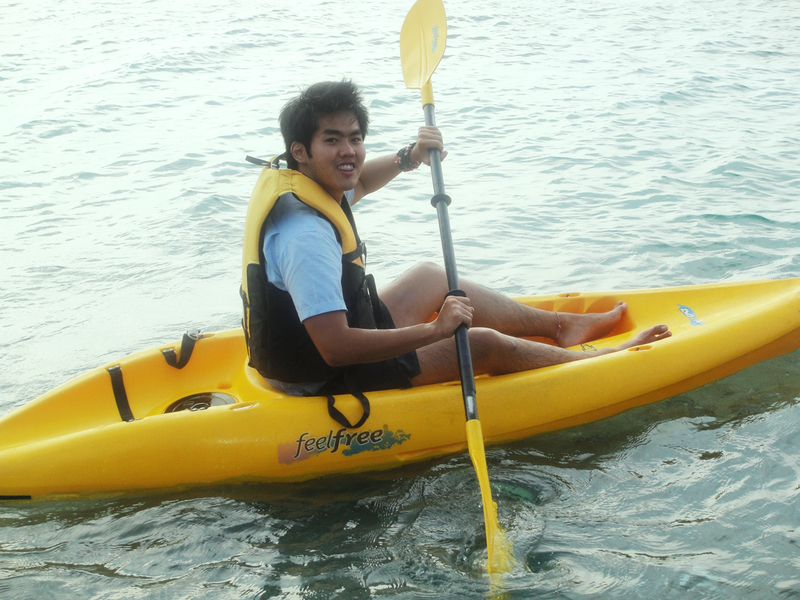 But kayaking was a lot of fun and I’m looking forward to trying it again. One night, we got to meet Max, a 15 year old Dutch boy who offered to play poker with us. He’s seven years younger than I am but taller than me, and his voice is deeper. He’s kind of cute and we still exchange messages on Facebook. From what I know, he is about to enter college in Amsterdam. We also got to play with Tino, the resort owner’s son, a fast-talking, half-German banker from Switzerland. He was really jolly and invited me and Sophie for drinks with his friends but we had to turn him down because Sophie was tired. Yuji, a 12 year old beginner managed to beat all of us, even Tino, the expert. That boy. He’s going to make us rich.